Remind the children that in the last session they debated goals for making a sustainable world. In this session they will consider what they have learnt so far and how this might influence everyday choices they make about the world around them. How do the lives of those you see in the film clip compare to yours? Are your priorities the same or different? 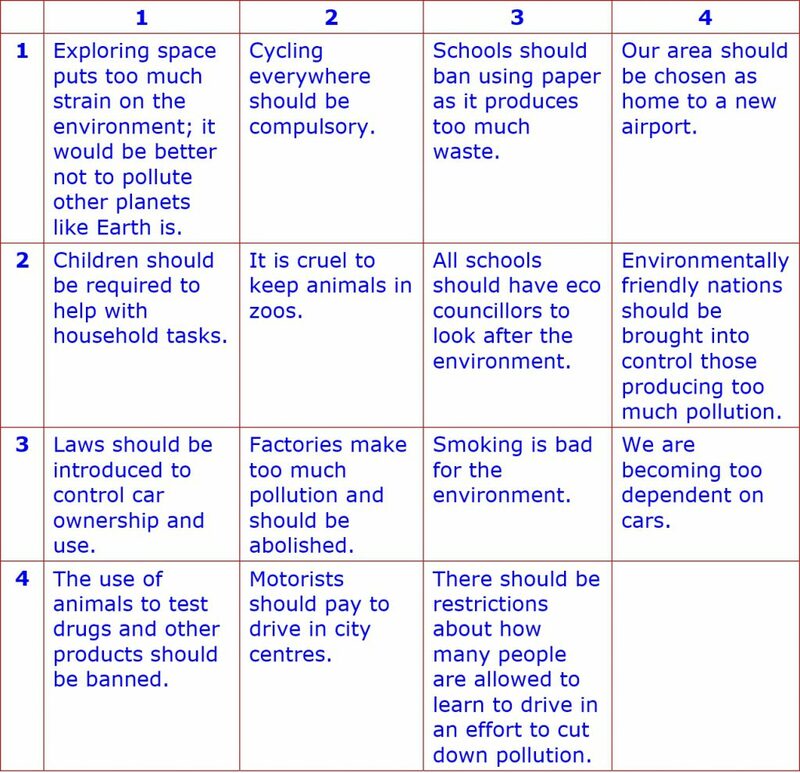 Tell the children that they are going to debate their ideas by playing The Environment Game. Once dice have been rolled to select the topic, each child has to give two different reasons for or against the argument in the box. Their partner then gives a counter argument. Encourage them to continue until someone cannot think of a valid argument or until all topics have been covered. Remind the children to give valid arguments and reasons to back up their decisions. You may wish to encourage them to use facts or opinions explored in the previous session. Ask the children to say whether there is one argument they think is more important to take action on than any other, and to give their reasons. Where is your Garden of Eden? What can you do to make it a special place for generations to come? What actions might make the biggest difference?